There are poems and then there are poems by some you know. There is expectations and anticipation for the latter and also much love when you read the verses , knowing how wonderful the person behind these thoughts is. 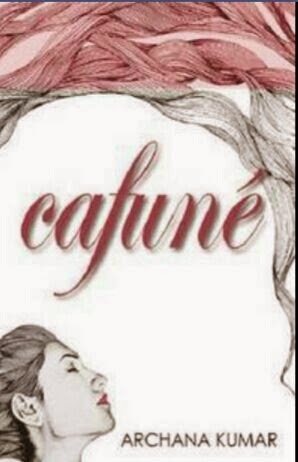 Cafune by Archana Kumar is not just love poetry or poems on feelings of heart re told. It is love in a way that many of the readers would relate to. Say is a poem that asks you to say your heart in many or any way ( a sound advice ) whereas Gods became my favorite poem for being so amusing yet simply practical. Is it okay to be in Love Archana asked after listing so many things that you fear losing love to and when I read “she” I smiled for she had captured a story I once wrote on same thought. And as you are turning a little mushy reading the random images , suddenly a poem makes you aware of the world around and how love alone does not makes this world. And there is not just one feeling or thought that this gifted lady can touch with her words. The poems are as heartfelt for a reader new to Poems and as sharply constructed to someone who has an eye for details and technique of this art. I really liked the haiku in the collection. The poems also appeal to you for being short but meaty enough to feed your thoughts and feelings from their chest. I am glad there are poets who dare write their heart out on pages and the poems would link even strangers reading them. I would though want the book to end on the poem “Beautiful “ for that poem is something that is so simple and sweet and heartwarming and hopeful too. If I had to learn a poem to quote somewhere , I will learn this one and share it with all.